The Captiva — Offered By Marvin Homes. A fully furnished model home with leaseback, the Captiva is a great room plan located in Parrot Cay, the custom home neighborhood of Naples Reserve. This home was designed to bring the outside in — a sliding glass wall, wine bar with mitered glass and corner sliding glass doors provide fantastic views of the great outdoors. The outdoor living area features a gas fireplace, summer kitchen with wet bar, mini fridge and a gas grill. The 827 square feet of covered lanai includes remote control activated roll down screens. The home won a Sand Dollar award for product design of the year in the $1.250M to $1.5M range. 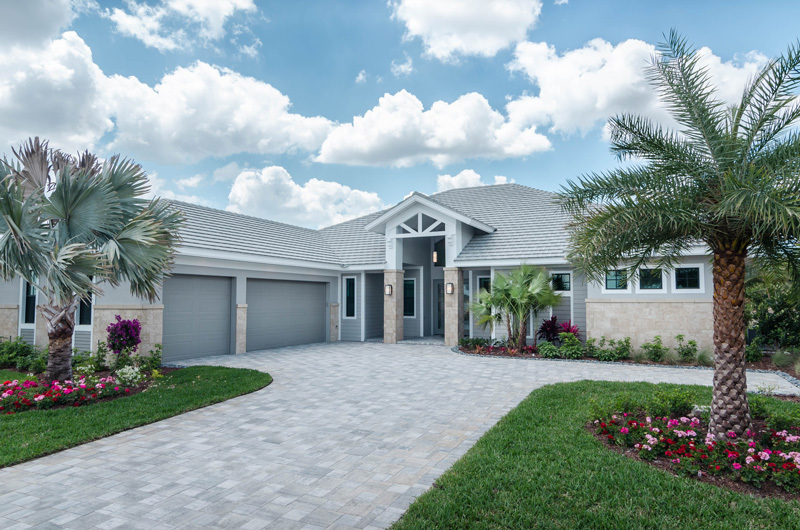 As a preferred Naples Reserve builder, Marvin Homes is proud to offer the Captiva in the Naples Reserve community.